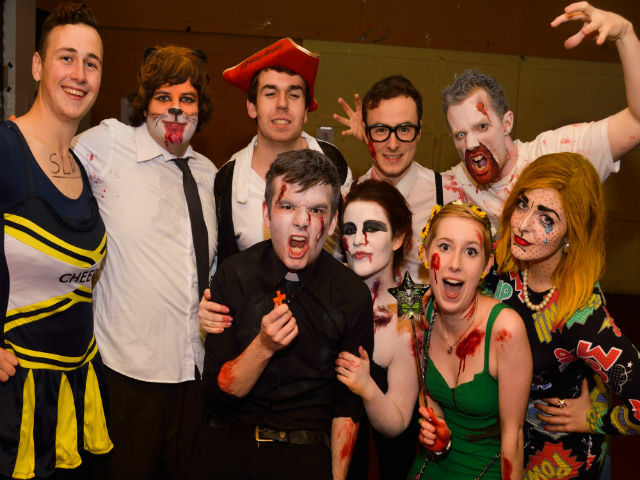 Almost fifty per cent, or €100,000, of this year’s Students’ Union budget will be spent on loss-making entertainment events such as the Halloween Ball. SU President Aaron Clogher has defended the planned expenditure, saying that while he previously would have been critical of such a high level of spending on entertainment events, he believes “this is the spend that generates the most interaction between the SU and the student body”. The non-drinker also expressed his preference for holding university social events on campus as over-indulged students can be looked after by student employees rather than being thrown out onto the streets of the capital. The SU budget was approved by an overwhelming majority of those present at the first Class Rep Council meeting which took place on Tuesday night last. It includes a planned intake and spend of €236,550, with a significant €69,000 needed to pay the sabbatical officers’ salaries. Welfare Officer Lorna Finnegan will have some €20,000 at her disposal for financing campaigns to raise awareness around issues including mental health, sexual health and equality. Meanwhile, travel costs, used to transport visiting acts and personalities for example, are planned to cost €3,000. The payment of security staff on ball nights is the predominant reason why a €100,000 subvention is needed in order to hold entertainment events on campus. Security comes at a cost of €30 per person per hour, while the 25–30 students in the events crew, in contrast, receive a minimum wage for their work. One class rep suggested it may be feasible for students to gain accreditation as security personnel and staff entertainment events for a reduced fee; however a reluctance to pursue this suggestion stemmed partly from the undesirable prospect of students policing friends. “I think there’s a lot of comfort for us and for the university in knowing that we’re employing an external company to provide security at our events because they know our students are safe”, Clogher said. He is happy to hold loss-making events and encourage students to socialise on campus as “it’s quite a different atmosphere to a nightclub…if you’re drunk here you’re brought upstairs and you’re fed, you’re given some water, you’re looked after. A range of events have been held on campus so far this year including the Orientation Ball, the J1-themed Freshers’ Ball and last week’s Halloween Ball. A variety of more intimate events including shows from comedians Neil Delamere and Al Porter were also held, in addition to ‘Well Wednesdays’ sets from bands including The Raglans. Of these, the SU President states that Neil Delamere was the only to make money. Suggesting his non-drinking has been blamed for the rise in non-alcohol focused events, he is delighted with how comedy and acoustic sets have been received so far. Aware that many commuters cannot be on campus late at night, he points to comedian Al Porter’s SHAG Week gig which saw students pack the Old Bar for an hour at lunchtime. “I think it’s something we’d like to do more, it’s obviously something students are enjoying”, he said.